7 mm tungsten carbide flat-comfort fit ring. 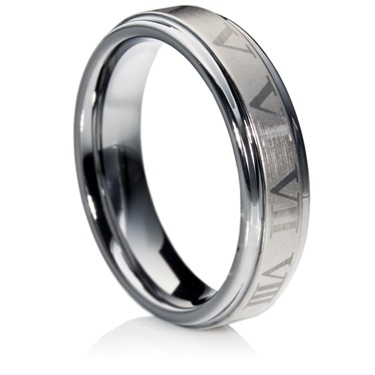 The matte finished center band is laser etched with Roman numerals. The edges of the ring are two polished grooves. Unlike other metals it will maintain its polish for many years.